Dr Mahathir Mohamad may be an enemy of the government, but he appears to still be a popular figure in nation's administrative capital, Putrajaya. 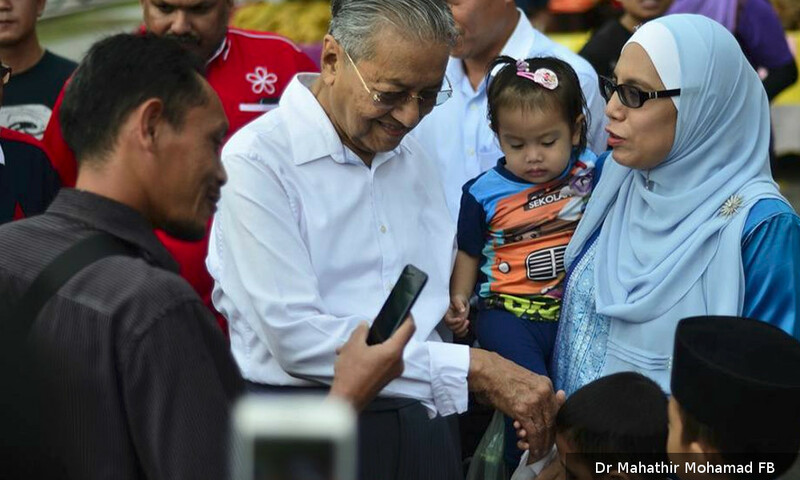 Scores of traders and early visitors at a night market in Precinct 2 took turns shaking Mahathir's hand and taking selfies with him today as he did a walkabout at the market. Putrajaya, the brainchild of Mahathir, is one of three parliament seats that he is considering to contest in the upcoming 14th general election. The administrative capital's residents are mostly civil servants and their families, a demography traditionally aligned with the ruling BN government. 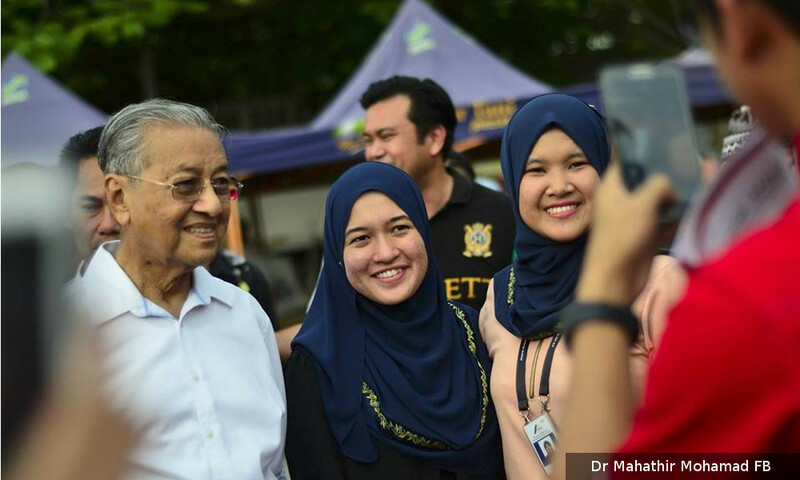 Several individuals who wore what appeared to be ministerial office security passes and a government hospital nurse were among those who did not shy away from taking selfies with Mahathir. During his walkabout, one lady also excitedly said "Hidup PM baru" (long live the new PM), apparently referring to Pakatan Harapan's move to select Mahathir as their prime ministerial candidate. A fishmonger, meanwhile, cheekily told the Harapan chairperson that his fish was from Sekinchan "but were not Jamal's". This was a reference to Sekinchan Umno chief Jamal Mohd Yunos, who is infamous for his various public antics in defence of the ruling Malay-based party, Umno. 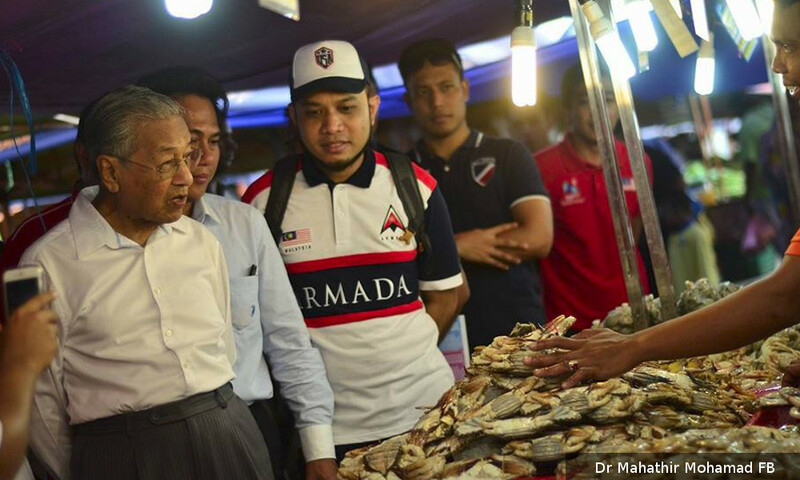 Mahathir ended up buying fish from the monger, which he said was for frying. Besides Putrajaya, Mahathir is also considering contesting in Langkawi or his former parliament seat of Kubang Pasu.